Rep. Bachus Is Focus Of Ethics Investigation Into Possible Insider Trading : The Two-Way The chairman of the House Financial Services Committee has previously denied any wrongdoing. Now, he says he welcomes the chance to clear his name. "The Office of Congressional Ethics is investigating the chairman of the House Financial Services Committee over possible violations of insider-trading laws, according to individuals familiar with the case. 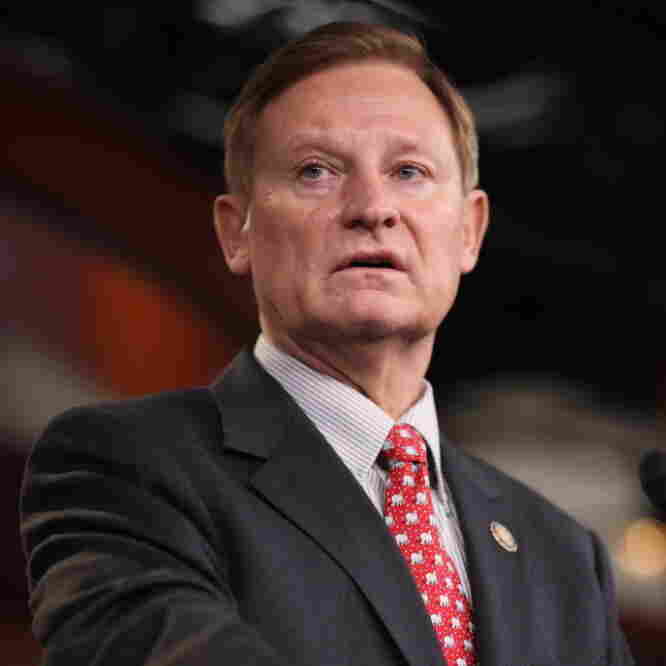 "Rep. Spencer Bachus, R-Ala., who holds one of the most influential positions in the House, has been a frequent trader on Capitol Hill, buying stock options while overseeing the nation's banking and financial services industries." In a statement sent to the newspaper, the congressman says he welcomes "the opportunity to present the facts and set the record straight," the Post adds. Thursday, as we reported, the House passed the STOCK Act, which would ban insider trading by members of Congress and their staffs. The legislation was given a big push by a 60 Minutes report in mid-November concerning the trades made by Bachus, Democratic leader Rep. Nancy Pelosi, House Speaker John Boehner (R-Ohio) and others. The lawmakers, including Bachus, "denied wrongdoing and denounced the network's story," as The Associated Press has reported. Update at 8:55 a.m. ET. NPR's November Report On Bachus' Stock Trades. "On Thursday, Sept. 18 , the Treasury secretary and the chairman of the Federal Reserve gave congressional leaders a closed-door private briefing. Bachus was among those in the room. At the time, Bachus was the ranking member of the House Financial Services Committee. "The next day Bachus bought options betting the markets would fall — and they did. He sold about a week later with more than $5,000 in profit. "Bachus says in earlier years he paid for law school and bought a car by investing in the stock market. He insists as a member of Congress he has never traded on nonpublic information. And Bachus says he didn't need a top-secret briefing from the Treasury secretary to decide to short the markets.
" 'The market had come from 15,000 down to 12,000,' says Bachus. 'The headline on Sept. 17 was Markets in Turmoil.' "